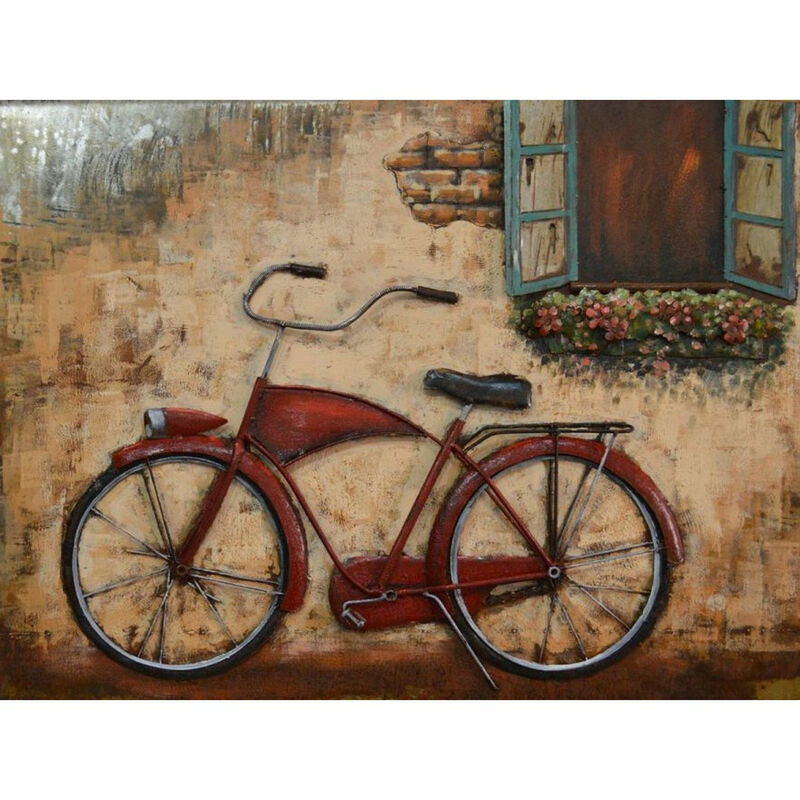 Red Metal Bike from Prime Time Arts. A classical piece of metal wall decor. Acrylic painted on metal wall decor.